Since the beginning of July 2017 Sukhoi Superjet 100 has successfully performed flights to one of the oldest airports of Northern Europe – Bromma (Sweden). It has relatively short runway of 1660 m and it is situated within the boundaries of the city, unlike most European airports. Besides, for landing in Bromma, SSJ100 needs only 1425 m even loaded with maximum landing weight. 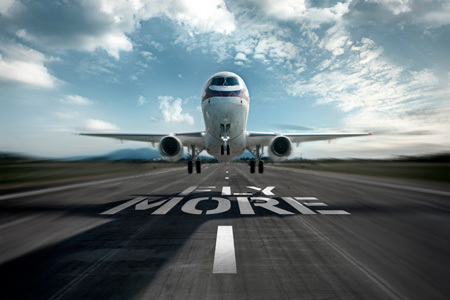 The improved takeoff performance has been successfully confirmed during the certification as a result of a series of actions aimed at SSJ100 improvements for certain customers tasks. The aircraft within the customers fleet were upgraded by the B100 option – the increased thrust engine with maximum takeoff weight, avionics software optimization as well as the lift devices control system improvements – all that allowed to reduce the necessary takeoff and landing distance. Moreover, one of the main demands of Bromma authorities was completely met up with: the noise level reduction for the environment due to the houses situated close to the runway. The Sukhoi Civil Aircraft Company, the SSJ100 manufacturer, put into practice the environment noise level not more than 89 Db if measured in three points, in full compliance with ICAO Annex16.